RARE! Not sure what to call the color, ecru or gold? Or maybe this has aged to this color. Lovely trailing flower motif with large lace inserts on to net. The dress is in nice shape overall given the age and dainty materials. There are a couple holes in the front of the dress, see photos. 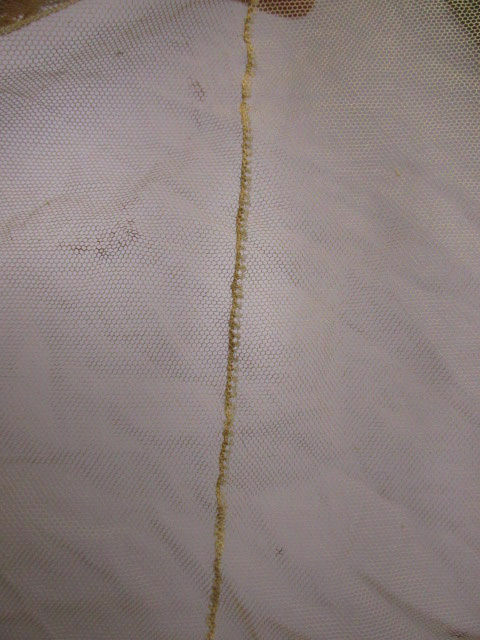 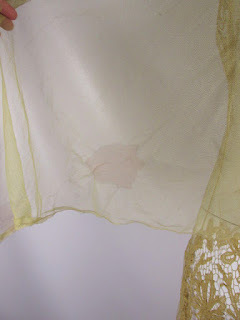 Comes with a shawl which also has some small holes and a stain (shown) and some other small stains. 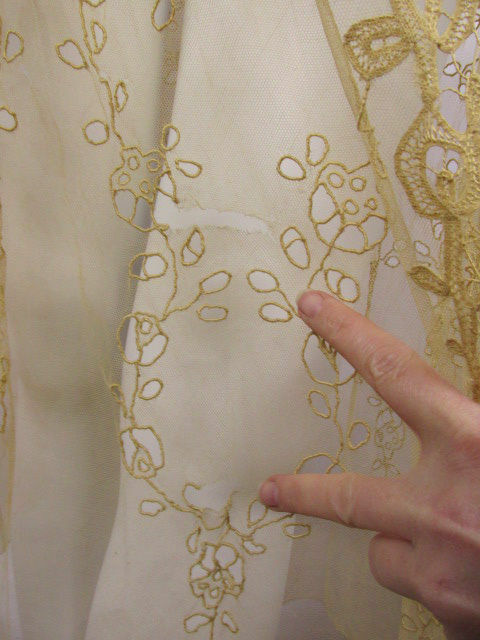 Shawl could be used to repair dress possibly. 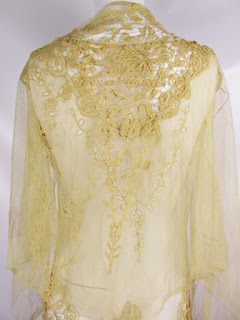 The color is probably from the age of the garment and not the original color. 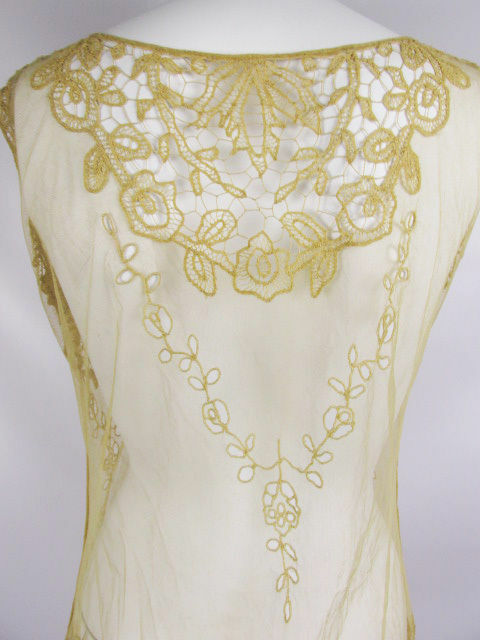 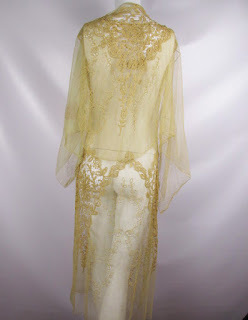 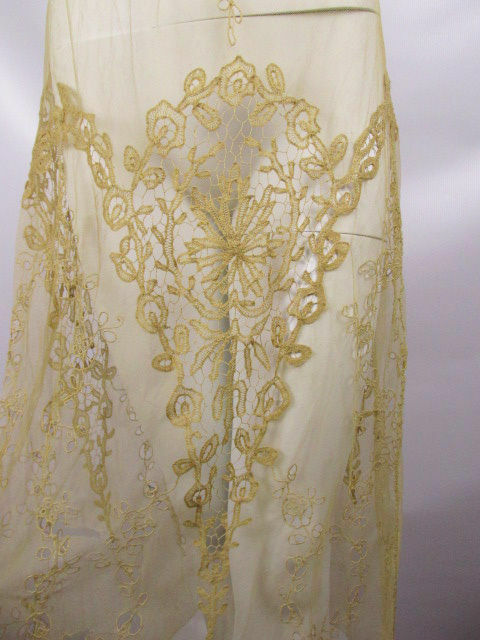 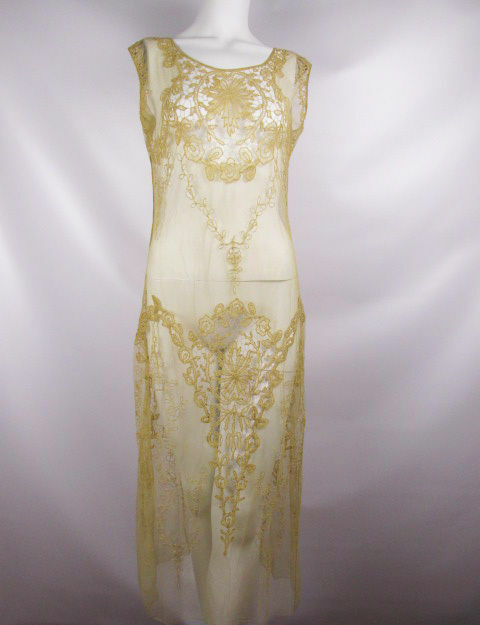 The style is very similar to the Boué Soeurs style - they loved to use lace in the 1920's on all their dresses. 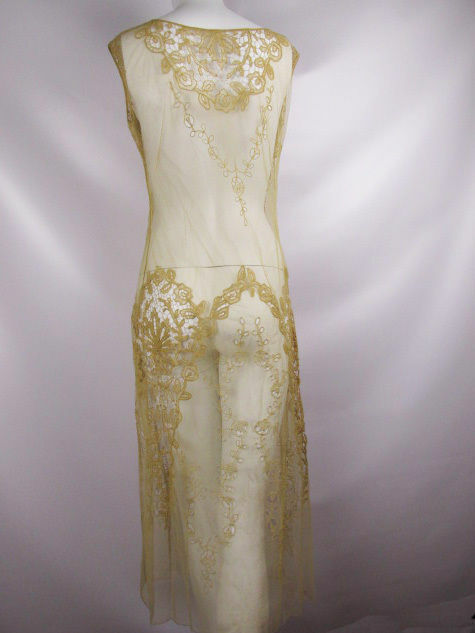 This is stunning! 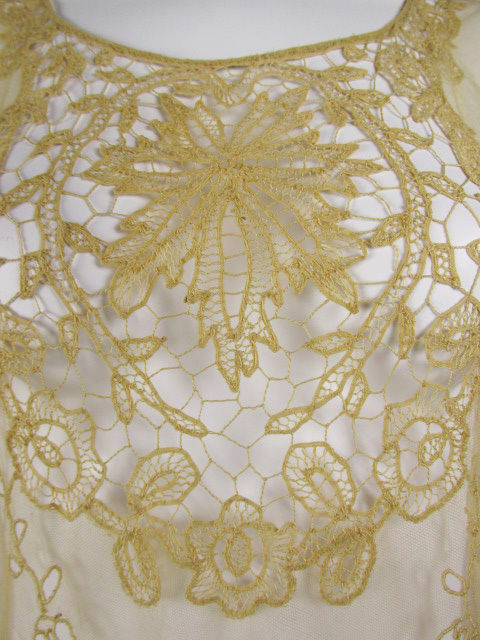 What beautiful lace. 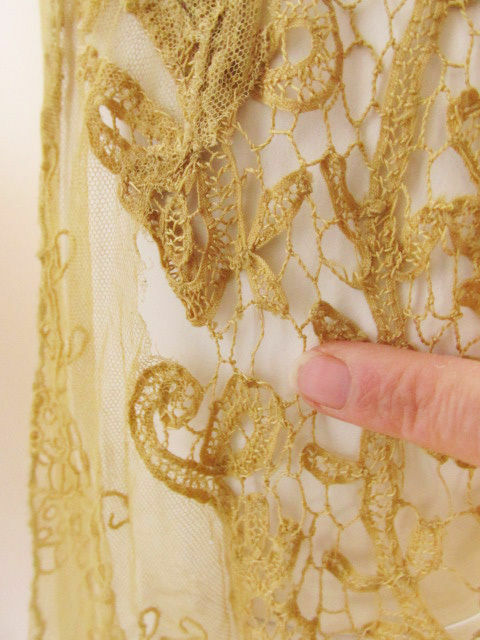 I wonder what the name is for this type of lace.